It’s fall and we all want to stay healthy now that all those back to school activities have picked up. Since all those activities have picked up it means that you’re around more people, which also means you’re around a lot more sick people. 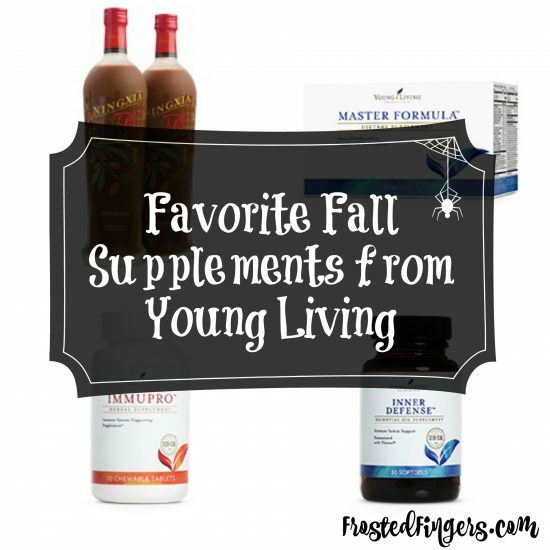 Today I want to share with you some supplements from Young Living that I love that will help support your body through all the fall ickies. First let’s start with NingXia Red. This is a supplement from Young Living that you should be on every day of your life. It supports whole-body health, energy levels, and normal cellular function. I feel amazing when I take this daily. This week I’ve started taking 2 oz a day, three times a day to really get the healthy benefits from the NingXia Red. Normal maintenance amount is 1 oz per day. While you have NingXia Red to support your energy levels during the day, Immupro will help support your body to get adequate sleep. 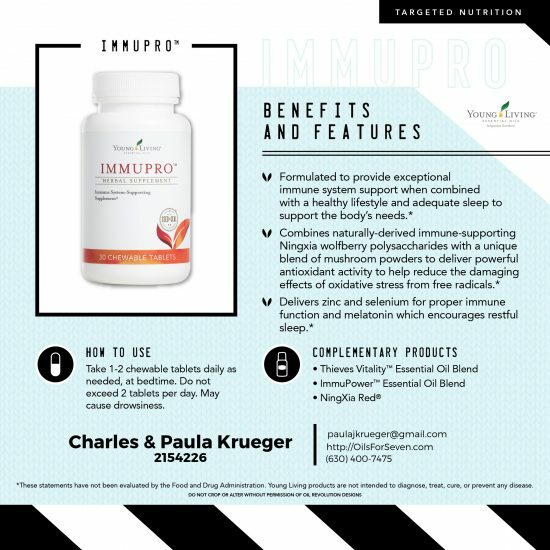 As you can tell from the name, Immupro helps support your immune system. You take it right before bed so it can do it’s work while you sleep. It does contain melatonin which helps you to sleep. My husband and I take Inner Defense every morning before we go out and face the public. This is great to help your immune system do it’s job and to give you a protective barrier against what’s going around in the fall. We also make sure to take this with us if we are traveling, especially on a plane! 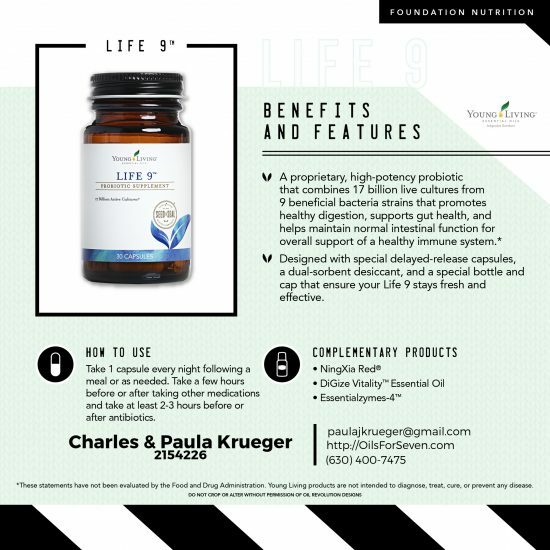 Life 9 should be taken before bed. It helps to support healthy digestion which will help keep your immune system running properly. You don’t want sluggish digestion! If you take a multi-vitamin, you should definitely switch out to Master Formula. Master Formula is like a multi-vitamin on steroids, or essential oils! 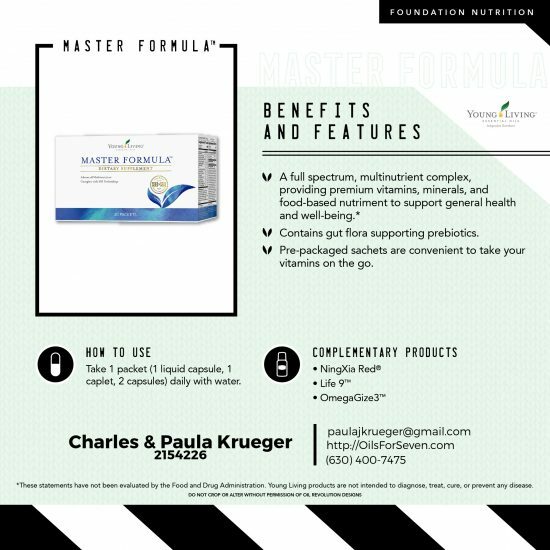 Master Formula helps support general health and well being. This is a good daily supplement for the whole year. Omegagize is your fish oil tablet that you would typically take. It supports general wellness and is great for brain, heart, eye, and joint health. My husband loves this supplement from Young Living. Another good daily supplement is Super B. It assists in maintaining your energy so it works great with NingXia Red. Super B also helps support your moods. I know a lot of people get a little down as the weather turns colder. Get Super B in your arsenal to help keep you level headed. Last, but not least is Super C. We all know how vital C vitamins are for our immune system. Super C is great for your immune and circulatory system. It helps to promote overall health, vitality, and longevity. 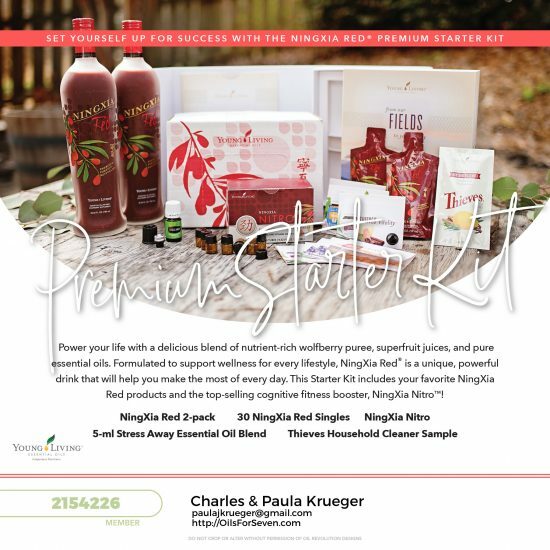 While Young Living doesn’t have a supplement starter kit, yet, you can get started with a NingXia Red starter kit and add on all the supplements and/or oils you may want to get to start your healthy lifestyle this fall. 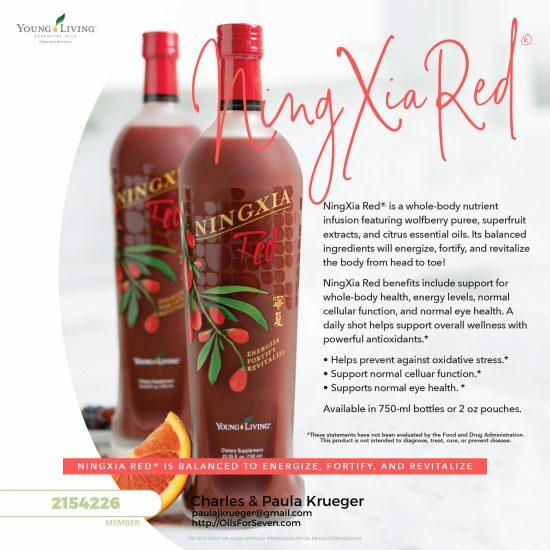 The NingXia Red starter kit is $170 and comes with enough NingXia Red to support your body for around 80 days on a maintenance amount of 1oz per day. 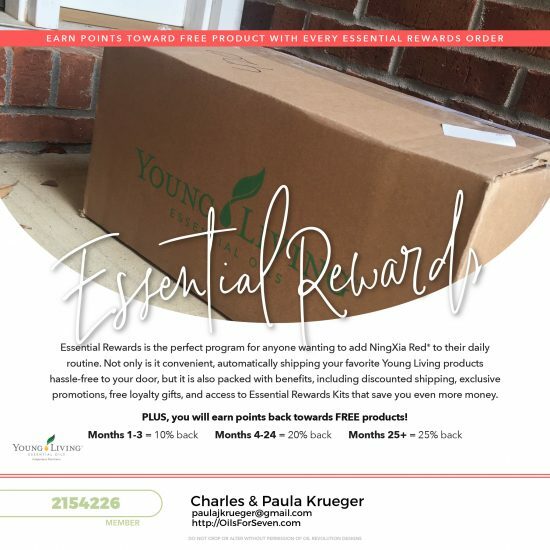 If you’re going to get on monthly supplements from Young Living, you should join our Essential Rewards program. You receive cheaper shipping, loyalty rewards at 3, 6, 9 and every 12 months, plus you get a percentage back of what you spend to get free products. On top of all the rewards you get on Essential Rewards, you also earn free products based on how much money you spend. 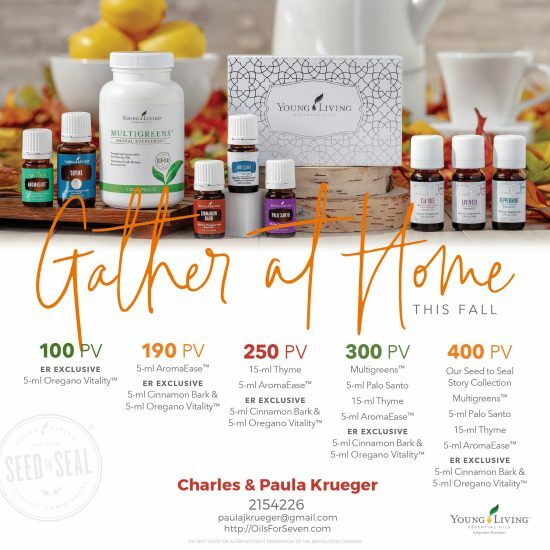 This month if you spend approximately $400 you will get Multigreens (which is also another great fall supplement from Young Living that I forgot to mention) but you’ll also get eight oils to try! 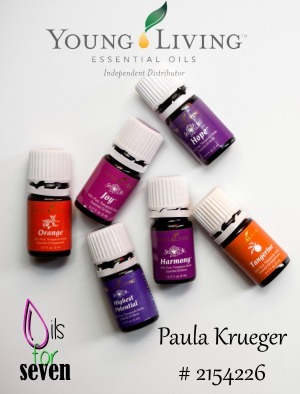 Many of the free oils you will receive are also great for fall immune support. 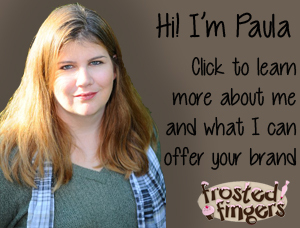 I’d love to answer any questions you may have about Young Living. I hope you have a healthy fall!